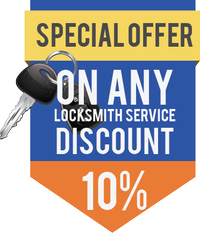 The American Local Locksmith team has developed a unique understanding of the needs of commercial clients over our years of experience in the industry, and so we can work with you and other leaders of your company to build a highly effective network of security to stand between your assets and the unpredictable. American Local Locksmith can design an enhanced security lock system to protect the most sensitive areas of your facility as well as establishing an exclusive keyway system to limit access to critical spaces to your most trusted employees. Another area of expertise at American Local Locksmith is in developing master key systems, offering executives the ability to control access to the facilities they rely on. We can implement a master key system that gives management personnel access to every lock in a hotel or office building within a day, or even establish a system of sub-master keys that allows high level employees access to all of their common workspaces. This gives business owners dependable security for their most sensitive areas as well as offering the flexibility to determine an appropriate level of access for each employee. 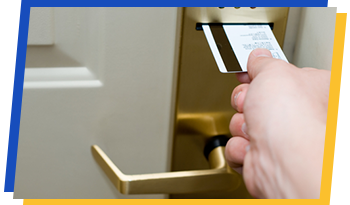 American Local Locksmith also has significant experience in the implementation of electronic access control systems. Electronic access control systems use remotely controlled access tokens instead of physical keys, and these access tokens can be activated and deactivated on demand. This delivers the highest level of access control for company leaders as well as allowing them to build a security structure that suits the individual needs of their business. 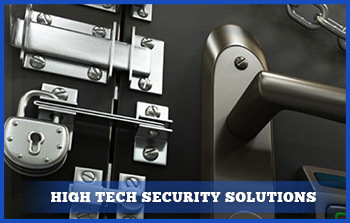 High tech security solutions are also among the options provided by American Local Locksmith. From advanced alarm systems that discourage attempts at unauthorized access and vandalism as well as promoting the quickest possible response time for authorities in an emergency situation to full scale CCTV systems that allow constant central monitoring of an entire facility, the security options offered by American Local Locksmith allow you to establish an effective defense from crime for your business. Loss of keys is another common issue with businesses, as a simple mistake can lead to one or more lost days of business from would-be customers as well as untold lost revenue through negative word of mouth about your lack of availability as you wait for keys to be replaced or even an entire system of locks to be refashioned to prevent future access by an unauthorized party using a misplaced key to gain entry.